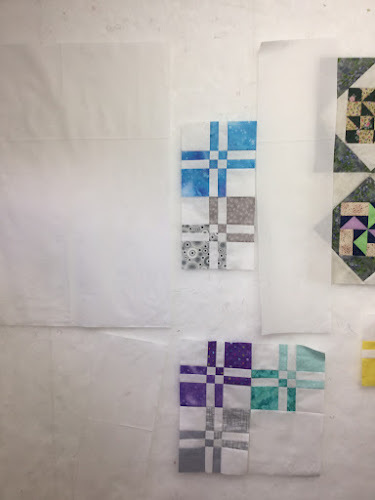 I was quite happily and quite quickly working on sewing this disappearing Four Patch quilt together. Or at least I was until the whole thing came to a screeching halt when something turned out not to fit with the block next to it. Upon closer inspection it turned out that I was working a bit too quickly and goofed up in the cutting. This is the same mistake I made when cutting my last set of swap blocks for Jannette. I'd been working on this months swap blocks after doing these, and after checking it, I found the same mistake. (Sigh). I'd only done a pair of the swap blocks, so I don't have many of those to redo. 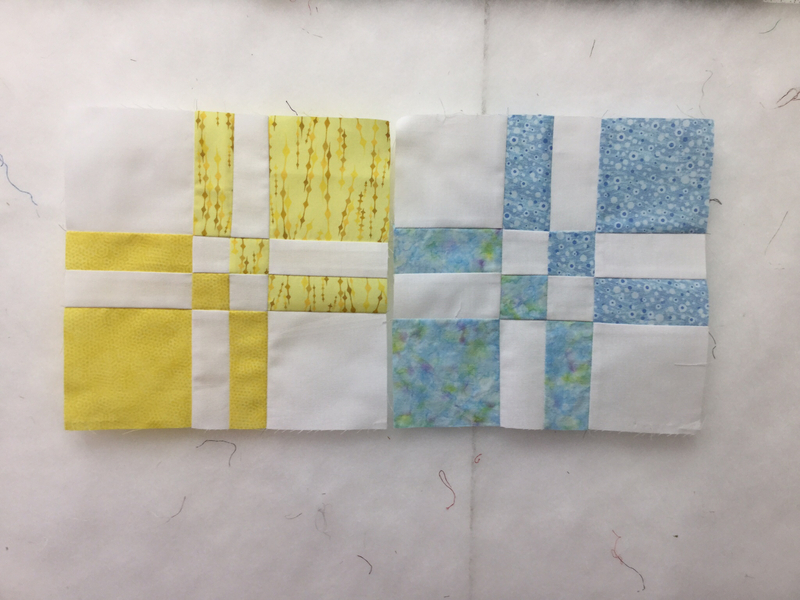 So I now have six blocks to put into the backing of my swap quilt, once it is finished.